You can download it HERE. Don't you just love Susan Fitch's artwork? You can find her poster image HERE if you like! Our goal is to fill the jar every few months during this year. Once the jar is filled, the kids will get some sort of treat - either a little gummy worm, a sticker, a stamp, whatever. Maybe during the summer months we will have a scripture party - we'll see :). CHANGE OF PLANS: If you check the comments, Shanda had an AMAZING suggestion that I'm going to switch to (just canceled my Amazon pom pom order)! Instead of filling with pom poms, fill it with pennies. When full, the primary donates the pennies to the ward missionary fund! How awesome is that? I'm thinking of bringing the bishiop(ric) into primary the day it's donated! I LOVE it! I posted on our RS Facebook page asking for penny donations. I'll also have an announcement made in Relief Society and Priesthood for ward members to donate! You can download the flyer I made to pass out at church HERE. Our ward has a jar like that. We fill it with pennies and then at the end of the year put the pennies in the ward missionary fund. The kids love it! I seriously LOVE that idea - I'm going to do it! Just curious, does the primary pay for the pennies or is that something that's personally donated? Our ward does something very similar. 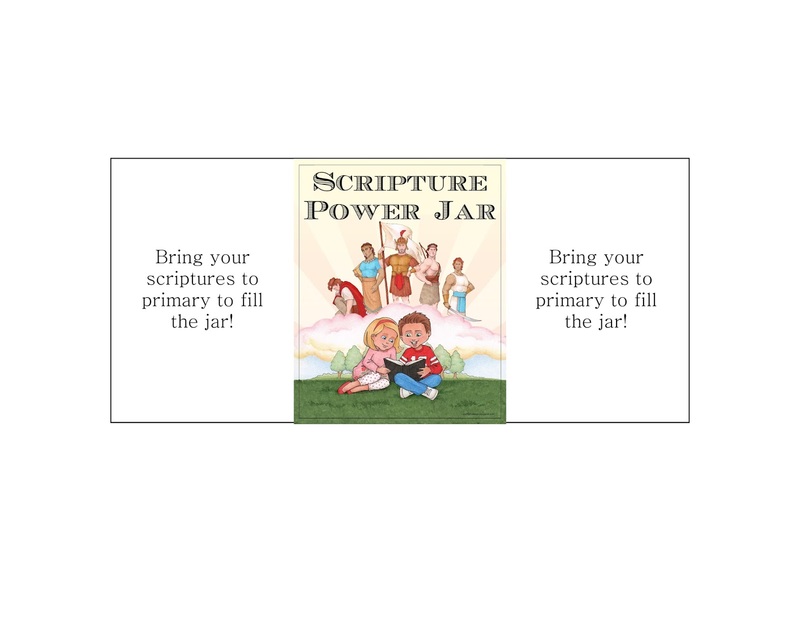 We have two small jars for each primary group (two for Junior primary and two for senior). Each primary group also has 100 pennies. For every child that brings their scriptures (or gets them from the Materials Center) a penny is moved from one jar to the other. When all 100 pennies have been moved over the primary buys a Book of Mormon and one of the primary children gives it out to a friend or neighbor. The next week they have an opportunity to tell the primary about their missionary experience. Do you do this for Junior Primary too, or just Senior? I plan on doing it for both primaries. What a blessing you are to all of us and all the Primary children by sharing your awesome ideas. You are blessing countless people by posting these things. Thank you so much. I look up to you. Thanks again for all your efforts in keeping this blog going. I'm'here almost every week for help in preparing. Do you happen to have a lesson plan for Scripture Power? Didn't see it in your index. I don’t...I’ve never officially taught it. Sorry I’m not more help! To angerine - someone from my ward started teaching it last week. She brought a Wonder Woman costume and with each line of the song they reviewed and learned, a child would come up and pick a piece of her costume to put on. It sounded so cute but I wasn't there to see how it went. Love this idea Camille! 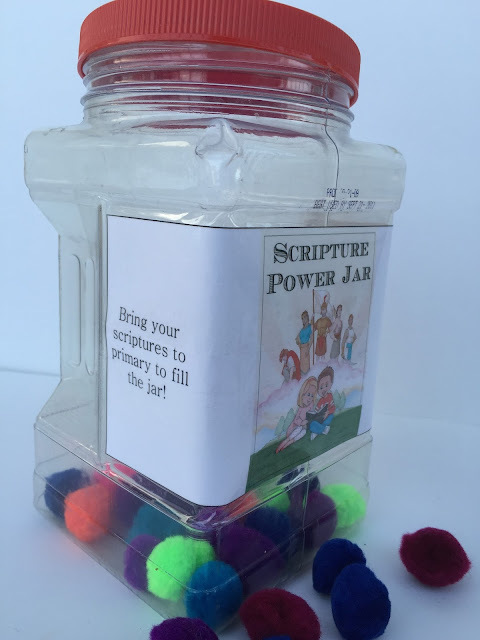 Since scriptures are such a big part of Primary this year, we were trying to figure out a way to help the kids realize the importance of them and decided to sing "Scripture Power." I think this will help cement the concept even more. Thanks so much!! !